Decorative gourds in all shapes and color combinations. 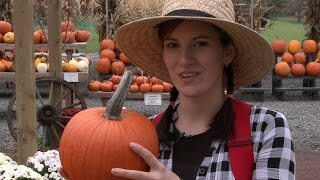 When it comes to fall decoration, grow your own! A single seed packet provides a cornucopia of gorgeous 3" x 2" gourds in all shapes and color combinations. Full vining plants. Sow in a rich, well-drained location in full sun after all danger of frost. Do not plant squash family crops in the same spot 2 years in a row. Sow 6-8 seeds 3 inches apart in hills 8 feet apart. 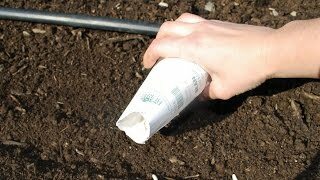 Cover seeds with a ½ inch of fine soil. Seeds emerge in 7-14 days. Thin seedlings to 3-4 per hill when they are 1-2 inches high. Gourds grow well on trellises or supports, keeping the fruits off the ground. Harvest after the shells harden. Cut the fruits from the vines with 1-2 inches of stem attached. Cure them for a week in a warm, dry location with good air circulation. Store them in a cool, dry place at 50-55 degrees F for use throughout the winter. Add to fall and winter displays when dried. Gourd, Daisy Gourd is rated 4.0 out of 5 by 3. Rated 4 out of 5 by DarkHorse from Beautiful! Prone to Powdery Mildew Bought these seeds and grew two beautiful plants. These plants get big, so give them plenty of room. Easy to train and trellis; very productive. Both plants were eventually done in by powdery mildew, but produced loads of small gourds before hand. Interestingly, one plant produced almost all uniformly yellow gourds with some variation in shape. The second plant produced with much more variety, but seemingly in phases. The first ten or so were yellow and similar to the other. It seemed to get a second wind and set another round of much more varied colors a la the photo shown. So maybe give plants time to ensure variety. Would recommend, beautiful and fun to grow! Rated 4 out of 5 by PatW from Cute The daisy gourds didn't look like the picture. All of mine came out solid orange. They are a cute star shape and I will enjoy them in my fall decorations. Rated 4 out of 5 by skins928 from Be Patient I had total germination. But in the first couple of weeks only about eight had come up. Finally after a month or more the rest did come up. They really need the heat to take off.